For the original 1995 game, see The Need for Speed. Game can not be paused, even in singleplayer mode. Deluxe Edition included with Origin Access Basic. All versions require Origin and Denuvo Anti-Tamper DRM and a constant internet connection for all game modes. All save game data is stored online on EA's servers. FXAA, TAA. Aliasing can be reduced by increasing the render resolution. Use the -Render.ResolutionScale 1.5 command line argument. This mod removes the following effects: fog, rain on lens, chromatic aberration, vignette (black area around screen), and other filmic effects. Open PROFILEOPTIONS_profile with a text editor. Change GstRender.FilmGrain 1 to GstRender.FilmGrain 0. XInput controllers only. For racing wheel support, check here. This issue is related to content streaming from hard drive and is likely to occur on slower hard drives. ↑ "The PC version of this Software uses Origin Online Activation and Sony DADC Austria AG’s Denuvo content protection technology". Need for Speed EULA. 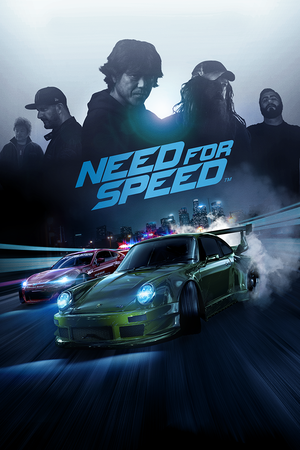 ↑ Need for Speed on Twitter: "@DeanRheims NFS will require an online connection, but the benefits are nice. More variety and a more rewarding experience with friends."